Climb aboard the Seaward, a classic 82' schooner, and make it your home while we sail along the magnificent Central California coastline! 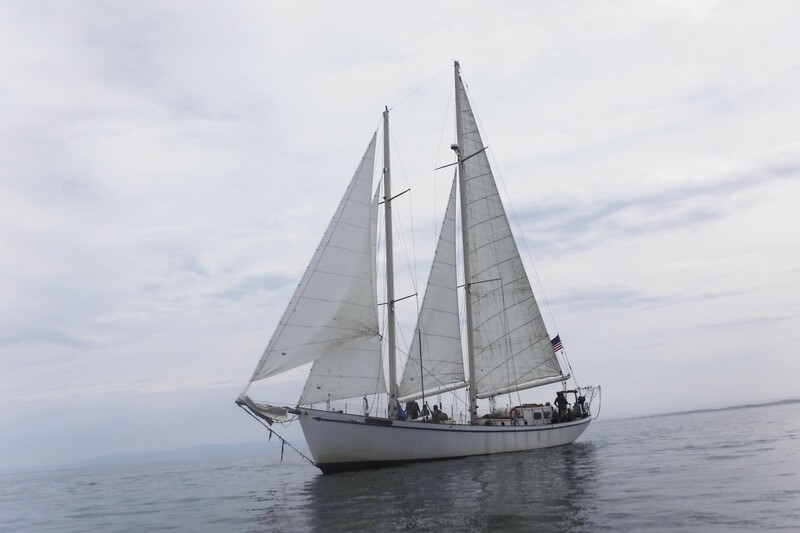 During this 5-day ocean-going adventure with a professional captain and crew, you will swab the decks, hoist the sails, and learn about maritime lore; as well as exploring physical oceanography, bay and coastal marine ecology through plankton tows and water sample analysis. Your confidence, teamwork, and leadership abilities will grow as you develop new friendships, skills and knowledge of the sea and sailing! Experience what it’s like to sleep at sea and really get to know the ocean in its various moods and moments. Registration limited to 12 teens. Staff to teen ratio is at least 1:2. Boat departs Sausalito and returns to Monterey Harbor (departure shuttle from Monterey, Santa Cruz, and San Jose available at no additional costs). Boat departs and returns to the Monterey Harbor. This special cruise focuses on the many marine mammals, seabirds and other life living in Monterey Bay.